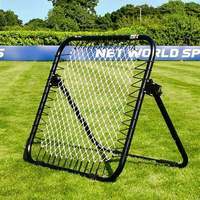 This is a mini football goal of two halves, fit for use by children under the age of 5 as well as a high quality shooting accuracy training tool for senior strikers. 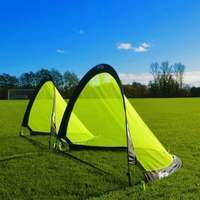 This mini goal seamlessly transitions from fun family garden football to the training pitch, pulling double duty for coaches during bottom corner target practice. 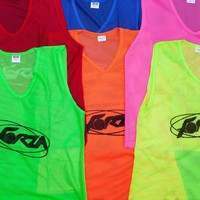 Kids with boundless enthusiasm for football will be eager to get the action underway immediately. Spend less time assembling and more time hitting the back of the net thanks to the quick and easy assembly of this mini football goal. 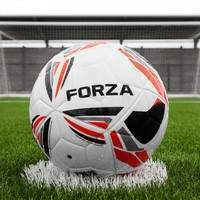 The hassle-free assembly of the mini football goal allows you to get the ball rolling with ease. 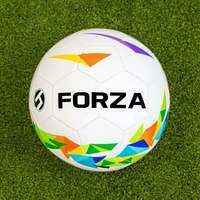 The FORZA Mini Target Goal has been expertly designed to make the big dreams of little goal scorers a reality. 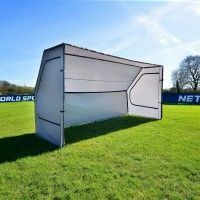 Its unimposing 3ft x 2.5ft PVC goal frame is the best way to introduce the beautiful game to the next generation of players, providing countless hours of uninterrupted action. 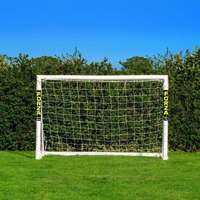 Turn your garden into a football arena for children under the age of 5 with the mini starter goal. 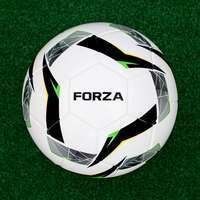 The talents of this mini target goal are not limited to bringing the gift of football to youngsters. 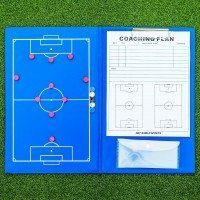 For coaches who keep their fingers pressed on the pulse of innovation, this highly versatile mini goal can also be used as a target goal for junior strikers. 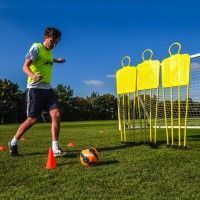 Add a challenging element to shooting drills and enhance the focus of your strikers by strategically placing the mini football goal in the bottom corner of a full size FORZA goal. 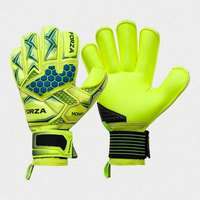 This will allow your strikers to hone in on the bottom corner, and leave the 'keeper with no chance on matchday. 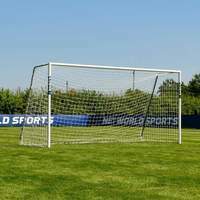 Manufactured for high durability, this mini goal will form the cornerstone of your kids' burgeoning football passions. 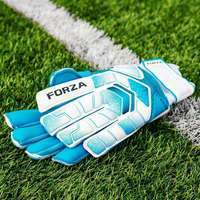 Its small stature is belied by its toughness, having been built to withstand collisions with the ball as well as the full force of the elements. 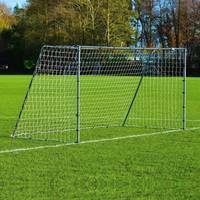 Just like the PVC frame, the included white goal net is 100% weatherproof, allowing for year-round football for kids come rain or shine. 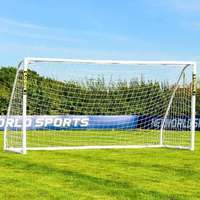 As well as being easy to set-up, the mini football goal can be left assembled without succumbing to rust or corrosion, so your kids can lace up their boots whenever the mood strikes. 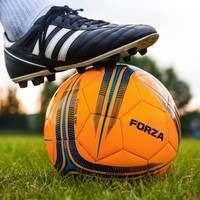 It takes years of practice to hit the goalscoring heights achieved by World Cup hopefuls such as Harry Kane and Mohammed Salah and there’s bound to be the occasional bump on the road to footballing greatness. 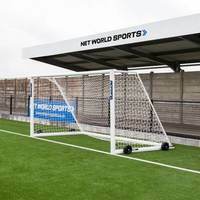 The cutting-edge essential locking system of this mini goal keeps the goal frame rigid and secure, meaning that the mishit shots of novice footballers won’t damage the posts. 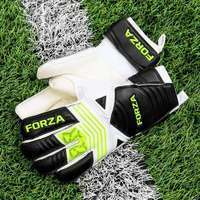 High in value as well as quality, the FORZA Mini Target Goal hits the back of the net.